After months of tickles and teases, the full hardware details about the first AMD Radeon Vega Graphics Card are finally here. 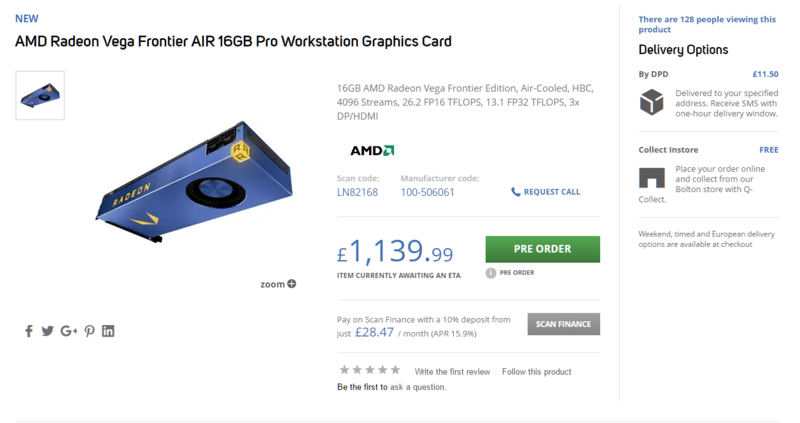 Pre-orders for the Radeon Vega Frontier Edition apparently opened late Thursday ahead of the card’s June 27 launch. Both graphics cards include 16GB of HBM2 memory, 483GB/sec of memory bandwidth, 4096 stream processors 13.1 TFLOPS single precision compute performance and 26.2 TFLOPS double precision compute performance. It also features a pixel fill rate of 90 GPixels/s. TDP for the air-cooled and liquid-cooled cards are reportedly listed at 300W and 375W respectively. Each card comes with three DisplayPort 1.4 connectors and a single HDMI port. 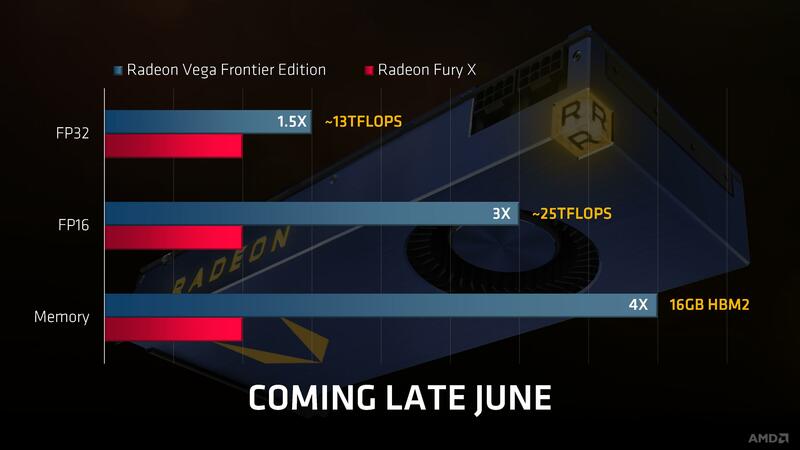 AMD Radeon Vega Frontier edition will be available in two variants. One would be an air cooled model which comes in a lovely blue industrial texture with a glowing yellow “R” emblem placed in the corner. The back is covered by a nice blue textured backplate. The whole card is powered by a dual 8-pin connector configuration which confirms a TDP of around 300W. The card is cooled by a single blower style fan that throws air out of the I/O side exhaust vents. The second card has also been shown and comes in a brushed golden texture on the shroud. It has the same features but these come with blue LED lighting. 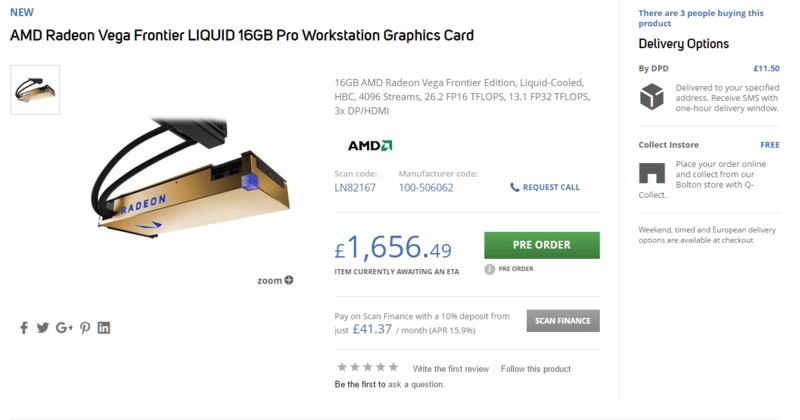 The card will feature liquid cooling The liquid cooled model ships with a TDP of 375W which is 75W higher than the air-cooled variant but will operate at much faster speeds due to extra cooling. The air-cooled Frontier Edition costs $1,200, and the liquid-cooled Vega goes for a cool $1,800.